Texas Gov. Gregg Abbot declared a state of disaster in 18 counties after relentless rain triggered rushing water that destroyed homes and claimed lives. 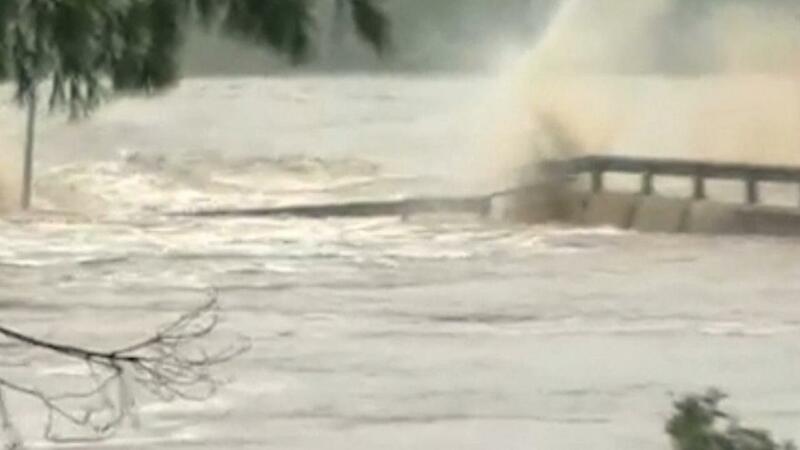 The floodwaters overtook the bridge over the Llano River in Kingsland, located about 65 miles northwest of Austin, after the river crested at 40 feet. “I’ve never seen anything like this, not even close,” Patti Ratcliff told FOX7. Ratcliff, who has lived in the nearby town of Llano since 2003, said a sheriff came to her home at 4 a.m. and told her she had 30 minutes to evacuate. The National Weather Service said water levels along the Llano River had dropped back down to just below 15 feet on Wednesday morning, but emergency managers cautioned it&apos;s not yet safe for residents to return. Evacuations were ordered in the cities of Kingsland of Marble Falls, in addition to other communities across the region. Texas Gov. Gregg Abbot declared a state of disaster in 18 counties as one death was reported due to the ongoing flooding. Lonnie Craven, who is retired from the Texas Department of Transportation, said he&apos;s seen high water before, but never like Tuesday. “We needed the water, we needed the rain. I don’t know if we needed this much, Lord,” he told FOX7.